A bush of 12 roses, accented with green grass and leaves. 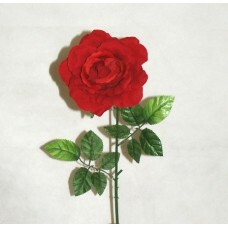 One of our best selling rose bushes all y..
18 large Roses in full bloom. Micro Peach material. Each Rose is 5 inches in diameter. 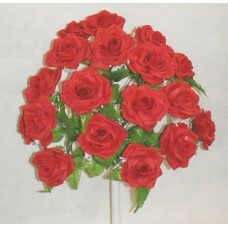 Accents in..
A beautiful bundle of rose buds perfect for any occasion. 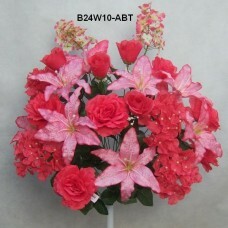 With baby’s breath and green leaves on ea..
Blooming roses, hydrangeas and tiger lilies in a 24-stem bouquet. Accented with delphiniums and bab..
A full bouquet of 21 blooming sunflowers, accented with yellow berries and foliage. 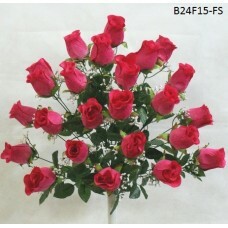 Bush stands 27 ..
6 Micro Peach Rose Buds in a bunch, with foliage and baby's breath accents. 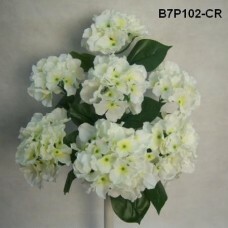 Bush stands 16" tall. .. Exotic blooming Foxtail Orchids in two long strands on a long sturdy stem. Entire product is 57 inc..